Are you planning to throw a party in the near future? No matter whether you’re planning a birthday bash, a bar/bat mitzvah, a corporate social function, or any other type of event, Metrospect has talented MC’s to offer the best DJ services in the Philadelphia area. We understand that experience is everything for your guests, so we take care of all that you need. You’ll receive personalized service and a broad variety of tracks that cover all genres to appeal to every member of your gathering. 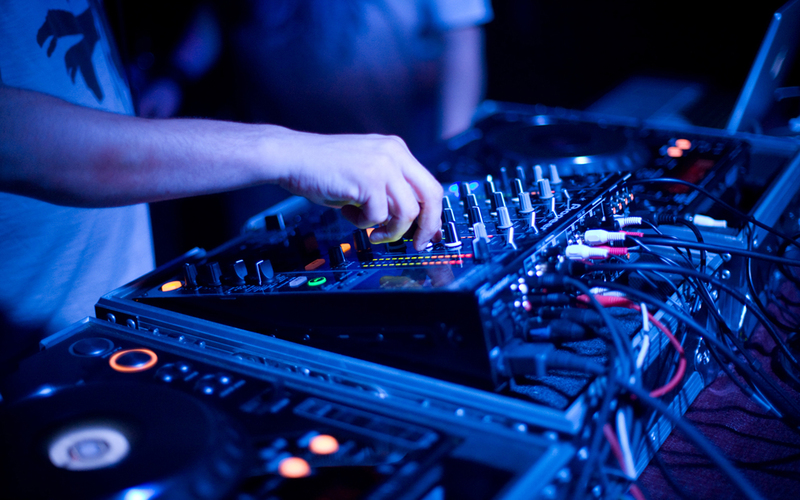 Our party disc jockey services in Philly and Bucks County have performed for hundreds of parties on an annual basis. How will a premier Philly DJ add to your event? At Metrospect, we’re all about making sure your guests have a great experience. Recognized as chart toppers in and around Bucks County, we have experience on the mic and mixing songs to offer you a stress-free experience. We customize each event in every aspect, from the music to the ambiance to a particular theme you want your DJ to mix. You’ll be treated to welcoming personalities and unmatched professionalism from the moment you speak with a disc jockey to the time your event has concluded. We’ll work with you to create a music playlist that is perfect for your party, and have a broad selection on queue to take any requests throughout the night. Rather than renting speakers and putting your music library on shuffle, our full-service party DJ services will allow you to enjoy your event without having to worry about the sound quality or blending between tracks. We cover all your needs for the gathering, from announcements throughout the duration of the event to setting up props and lighting to make sure all guests are attracted to the dance floor. We have earned our reputation throughout the area as one of the most approachable and experienced marketing firms that offer music disc jockey services for any type of party. For those engaged couples, we even have a wedding disc jockey in Philadelphia ready to make your reception a great experience. If you’re organizing the entertainment for the next event, trust the Philadelphia disc jockey services at Metrospect to take your experience to the next level and create an unforgettable night. Contact us today and talk with one of our event planners to ease the stress and guide you through the night.